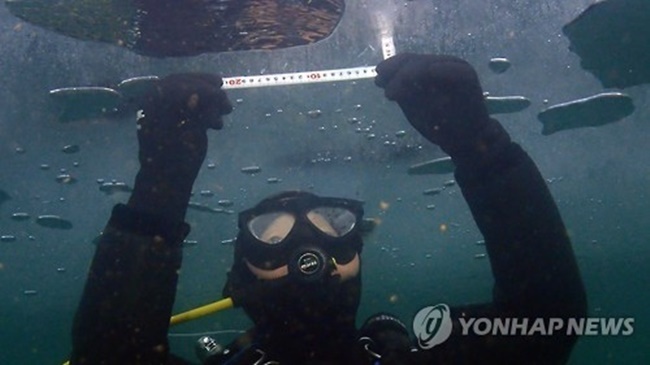 HAWCHEON, Jan. 19 (Korea Bizwire) — While this year’s Hwacheon Sancheoneo Ice Festival is in full swing, members of a rescue team have emerged as hidden heroes behind the success of the fishing event. 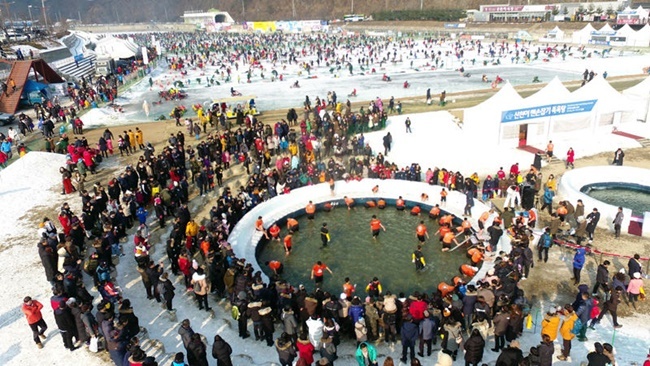 The Hwacheon Ice Festival has been held for 15 years without a single major accident, drawing over 1 million visitors so far this year. 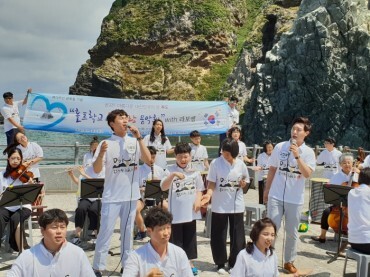 And the success could not have been achieved without the rescue team, with swimmers who dive into the freezing waters of Hwacheon River where temperatures go down to minus 20 and 30 degrees Celsius. Consisting of 22 members who are private and public rescue workers as well as volunteers, the rescue team ensures the safety for over 1 million people each year, while almost living on the site throughout the event from December. Prior to the event, the rescue team measures the thickness of the ice around the fishing spots, and decides on the distance between ice fishing holes depending on the estimated number of visitors. 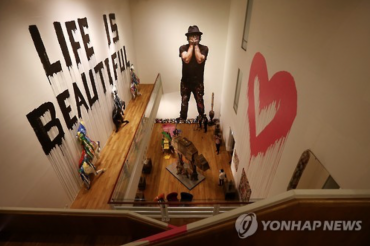 “Below the frozen river where the festival visited by tens of thousands of people takes place is a completely different world,” said Kim Kee-ho, the leader of the rescue team. One Hwacheon County official vouches for the team’s hard work.